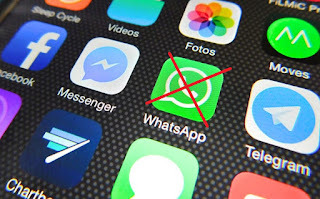 It’s going to be Sad New Year for some people who will trying to send their best wishes to there loved ones.Because it’s been announced that smartphones using specific operating systems will no longer to run popular and free messaging service of WhatsApp from December 31.WhatsApp has been in android market from around 2009 and has slowly added so many superb more features, such as end to end encryption technique for messaging and video calling feature.Now It has more than a billion users but some older phones not compatible with advance technology could present a security risk. which Smartphones are going to Suffer? Any BlackBerry device who running on BlackBerry OS or BlackBerry 10 will not able to use the messaging app in coming 2018.BlackBerry has already shifted to Android this year, but some older handsets still use its own in house softwares.Additionally, any phone which using Microsoft’s Windows 8.0 or older OS will not able to use the app.This will include some Nokia phones which are also on Windows-based OS.Even Microsoft has also admitted defeat due to it’s mobile OS. What about every other Smartphone? The Support for Nokia Symbian S60 was already dropped in June 30 this year and the Nokia S40 will also stop running WhatsApp App on December 31 2018. Also Smartphones which are running on Android versions 2.3.7 and older on 1 February 2020.